Can the new Home Mini really better the brilliant Echo Dot? The brilliant Amazon Echo Dot is one of our favourite smart home products and now Google has launched a 'smaller than a donut' rival to go alongside the also-awesome Google Home smart speaker. 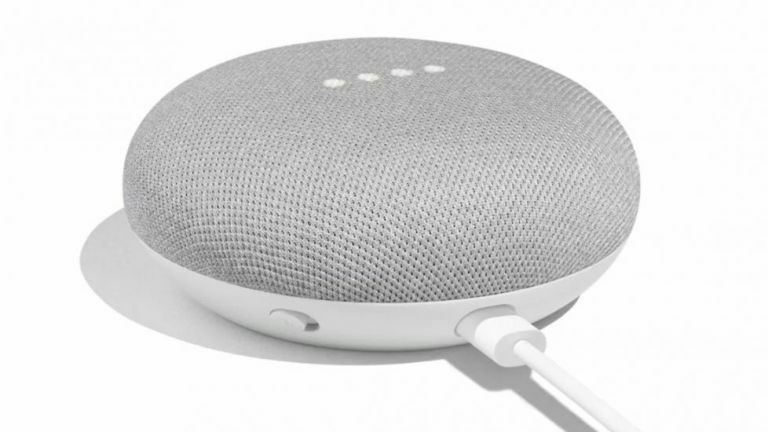 The Google Home Mini is based around the Google Assistant and should cost $49 (around £40) and will come with a material cover in one of three colours. It's available to pre-order online today and will be in stores later in October. The material has been 'created from scratch', according to Google, especially designed for this device. Google also reckons it tried 157 shades of grey, although it looks a lot like the default Google Home grey to us. There are four LED lights under the material cover that tell you when the Home Mini is thinking or searching. The surface is also touch sensitive.